Steig then goes on to claim that the closer concordance between the kgnd = 5 / 6 reconstructions and the S09 reconstruction means that we chose the wrong parameter value. His justification is nothing more than the other values agree with his reconstruction better. 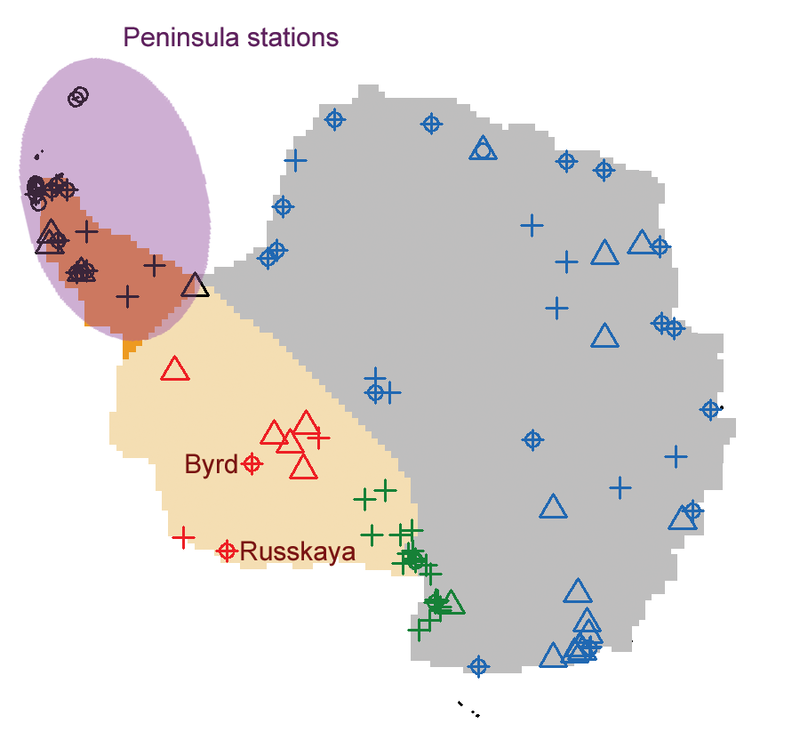 It is not based on any cross-validation results or other calculations (excepting, perhaps, the erroneous calculation of the Byrd station trend, which we evaluated here). Steig – as per usual – doesn’t do calculations to evaluate his own claim. He simply states things as true. And – as per usual – these things turn out to be somewhat less than true. Before we begin discussing why this claim is not accurate, let’s make sure we understand what “kgnd” is. First, let’s talk about RegEM, which is where “kgnd” appears. RegEM belongs to a class of algorithms called Expectation-Maximization algorithms. In the case of RegEM, the “Reg” refers to “regularized”. We will defer the discussion of regularization for now, as we first need to understand a bit about EM. EM has been around for quite a while (since the 60’s or thereabouts) and was formalized by Dempster et al. in 1977. The idea behind it is quite simple: use the available information to take a best guess at the missing information. Then, assuming that the previous best guess is better than having no information at all, use those results to make a better guess. This process continues until each subsequent guess is nearly equal to the previous guess . . . in other words, until the guesses stop changing. In the case of linear regressions, as long as the regression model is appropriate for the data and the proper correction is applied for the bias generated by the predicted variances, this general framework was mathematically proven to converge to the maximum likelihood estimate of the missing data. Rather than use ordinary least squares for the regression function, RegEM utilizes regularization. The reason for this is because many times – due to large gaps in coverage – the data matrix is ill-conditioned. This means that there are too many unknowns and not enough overlaps in the data to provide a unique answer. Such problems come up frequently in non-laboratory analyses like analyzing climate data. Regularization provides a way to obtain a unique solution by adding some additional constraints. The RegEM algorithm provides two types of regularization: ridge regression and truncated total least squares (TTLS). For this post, we will only talk about TTLS. Ridge regression will be discussed in a follow-on post. TTLS relies on a mathematical technique called the eigenvalue decomposition (and can alternatively be calculated using the singular value decomposition, or SVD). It is easier to visualize using the SVD method, so that is where we will start. Well Lucia has a post from Zeke which is experiencing a nice reception at her blog as well as Judith Curry’s. As often is the case, my own head feels about to explode over some of the “known details”. There are far too many otherwise smart people ready to accept them for my liking and the claims are far too poorly considered for even the pre-decided to accept. A doubling of carbon dioxide, holding everything else equal, would lead to a global average surface temperature increase of about 1 C. This follows from a basic derivation of forcing from changes to absorption bands, though it is complicated by the inherent difficulty of defining what exactly a no-feedback system is. I would be fantastically happy to see just what BASIC derivation creates these numbers. Anyone have THAT derivation handy? And no–don’t start with the 3 point whatever forcing (someone asked that question on the last thread but I’m not blogging), because we are starting from absorption bands. Write it here folks…… Lots of unmoderated space below. Let the Id have it!! I have looked for this since starting this blog and if you tens of thousands of readers have hid it from me with intent? That would mean war! Stocks of atmospheric carbon have a relatively long lifetime. While any individual molecule of atmospheric carbon remains in the atmosphere for only a few years on average, the growth limitations of sinks means that the stock will not decline quickly should emissions stop increasing. As a corollary, arguments that 95 percent of annual CO2 emissions are natural rather miss the point. Stocks of atmospheric carbon have a relatively long lifetime. While any individual molecule of atmospheric carbon remains in the atmosphere for only a few years on average, the growth limitations of sinks means that the stock will not decline quickly should emissions stop increasing. You would think that this would be a settled issue, the atmospheric lifespan of the CO2 molecule and the size and ability of the Earth to absorb them– it is not, except for in a few peoples minds. I wonder if any readers have considered how unlikely it would be for a planet to maintain a very highly emitted molecule (every mammal on the rock, every fire, nearly every oxygen combustion event) at a hundreds of parts per million level for millions of years without large high capacity sinks having the ability to deal with increased output. How unlikely would that be? The IPCC would have us believe that we are on some precarious balance whereby the sink doesn’t accelerate or perhaps our extreme lack of CO2 occurred by accidental balance. The likelihood of such a situation seems a bit extreme to say the least. As a corollary to 3., a warmer world will have an atmosphere with more water vapor. This will tend to enhance the greenhouse effect, though the situation is complicated by the difficulty in both projecting changes in cloud formation and determining the radiative forcing effect of clouds. OK, so this is the feedback issue. There isn’t a shred of ‘solid’ data which properly interpreted supports the claim that moisture increases or decreases the effect. Not one damned ‘properly interpreted’ shred of evidence, yet people chuck it out there as though it were real. The only papers which I have found mix cause and effect through pre-determined methods. White reflective clouds vs water vapor, the proof being models which have parametrized nature out of the issue. There isn’t any knowledge whatsoever by mankind on this point in my properly humble opinion. Of all things climate, this issue is one which we really DON’T KNOW! We don’t know a worthwhile thing about moisture feedback direction or magnitude and that is something I firmly know. Prove me wrong, give it a whack. Direct solar forcing has played a relatively minor role in the last four decades, as TSI has been flat-to-modestly-decreasing during that period. Again Zeke gives a vastly overstated confidence in this issue from my perspective. What we know about stellar emission effects is probably equivalent to the average high school student’s grasp of calculus. I won’t bash this as much though because several measures have been reasonably stable but the measurements are so extremely limited that the claim is ludicrously confident. Hell we couldn’t even predict sunspots within 3 years in the last cycle. There are solar emissions recently (four decades) measured which can have effects on climate though which have been excluded as causes of measured warming but the statement is WAY over the top IMO. We only learned to measure air temps by satellite in 1978 and anyone who thinks those records are clean is either ignorant or insane, they are simply more quantifiably contaminated than the surface stations. There is no complete solar record for the 40 year period by which any scientist can make the above claim. TSI – total solar irradiance. It may be possible that the sun has not changed much – I don’t know – but there are poorly quantified solar emissions UV, X ray, Particulate etc. which may have equal or greater short term effect than our measures of what was previously termed TSI. This is UNsupported by multiple lines of evidence, including GCMs with pre-concluded output, numerous mathematically unsupportable paleoclimate papers (including unrealistic interpretations of proxy response to forcing during glacial periods as well as variance suppressing algorithms applied to suspected millennial proxies), the problematic instrumental record etc. Zeke and I could spend about ten rounds on that one alone. 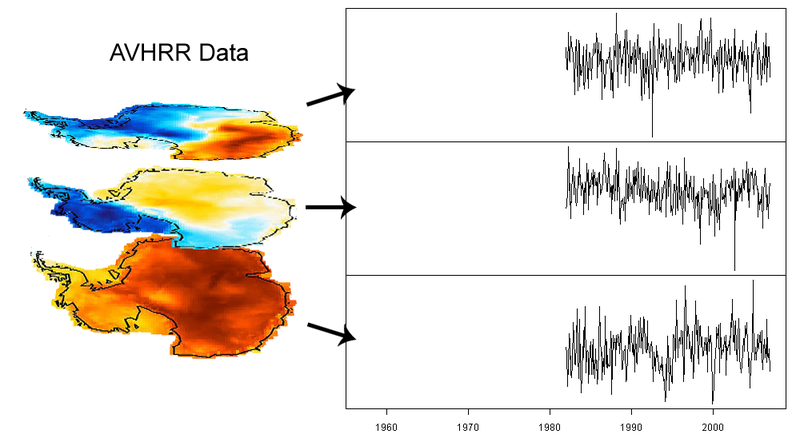 Land and ocean temperature measurements over the past century are largely accurate at a global level, though there are some regions that have limited data, especially toward the earlier part of the century. That said, factors like UHI, instrument change, siting issue, and other data quality issues could potentially change the global trend modestly. I flatly deny that there is any evidence that land measurements have accuracy of tenths of a degree. The claim ‘largely’ accurate is qualitiative, yet the claims of ‘the warmest year ever’ (which Zeke doesn’t make here) are unsupportable by anyone with any science in their bones. While it may be true, anyone with a hint of suspicion knows the ocean records have been tweaked and beaten into the proper shape. We with functional brains know land station sighting is a real factor. And this is coming from a guy (me) who KNOWS 100%, not 99, 95, or 80% , CO2 CAUSES WARMING! Intrinsic (unforced) variability plays a relatively large role globally at an intra-decadal scale, but is relatively insignificant at multidecadal scales. In this view, the early 20th century warming was due primarily due to solar forcings and a volcanic lull. Yeah……Okay.. Well we’ve covered the rest, how do we know this?? Just where is the proof that oceans cannot affect multidecadal temps? Any concept that the oceans have an average temp of like 3C with a high average surface temperature? Any idea that perhaps mixing of water could cause problems for this pseudo-spherical rock? There is a huge amount of energy capacity there. With ocean currents, even multi-centennial and multi-millennial scales are questionable. Sorry but this flatly doesn’t fly with me. Recent warming is unprecedented over the past millennium. While there are plenty of problems with paleoclimate reconstructions, enough corroborating work has been done to at least elevate this to more likely than not in my personal judgment. Were there reconstructions clearly showing MWP temperatures comparable with, say, the running 50-year mean of the instrumental record I would be less certain. Start with the bold – Bull! Then work on, ‘corroborating’ evidence in paleo is not as self confirming as it might appear. If we all use variance suppressing math and data, we all will get the same variance suppressed answers. Regression is regression is regression. I’ve written endlessly on the subject and these claims have the same degree of content as a US projected budget. A firm example of writing without enough reading IMO. I like Zeke because he is honest, I like Bart for the same reason but I don’t like bad science even when it is honestly presented and in my opinion the above claims despite the uncertainty escape clauses were/are bad science. We don’t know the past climate. We don’t know the future climate. Claims to the contrary are, have, and will continue to be — as common as blades of grass. And in case you were somehow confused, I am not blogging!! I’m really not, there is no time for this nonsense. Nic Lewis has co-written an article with the Spectator regarding S09. They used it for the cover story – click the image below for the magazine link. I have a copy, but haven’t read it in the published form myself. I had made a post concerning the sensitivity of the S09 reconstruction with respect to changes in trend for the underlying surface stations HERE [insert link]. That post was a bit rushed, and the level of explanation I provided was insufficient. Bishop Hill did a better job of explaining it HERE [insert link], and I will use his piecemeal approach here, as it presents the issue very clearly. The previous post was also incomplete. It did not show how our reconstruction method responds to similar perturbations. I will now rectify that situation. For the S09 case, I simply spliced the Byrd data with no offset. For our reconstructions, I spliced them together using the nominal offset determined by RegEM from the original reconstruction. The purpose of this test is to determine which reconstruction is most responsive to changes in the underlying data. If the reconstruction responds “poorly” (in other words, does not properly respond), then one can conclude that the method results in a reconstruction that is not a “good” representation of the data. If the reconstruction responds “well”, the one can conclude that – for the cases tested – the reconstruction appears to represent the data “well”. Since “good” and “well” are qualitative, rather than try to assign criteria to them, we will simply compare whether the S09 reconstruction or ours does better. When Steig went off the deep end the other day, I told people I wasn’t going to let it go. Not after all that time work and abuse we took in getting this paper done. He’s actually screaming that we are liars, and the reviewers that let our math pass are Knuckleheads. Let’s see if he has the grace to apologize!!! His words are those of an enraged man who’s famous work is being made more famous by extended unique claims as to what is reality and the quality of the reviewers. In my opinion, there was only one reviewer who actively worked against a scientific analysis based on his preferred results. He made his recommendations to force us closer to S09 at every angle. At every angle he tried to push us to say we agreed with this or that of S09, never understanding or choosing to grasp that his results are random noise more than anything else. 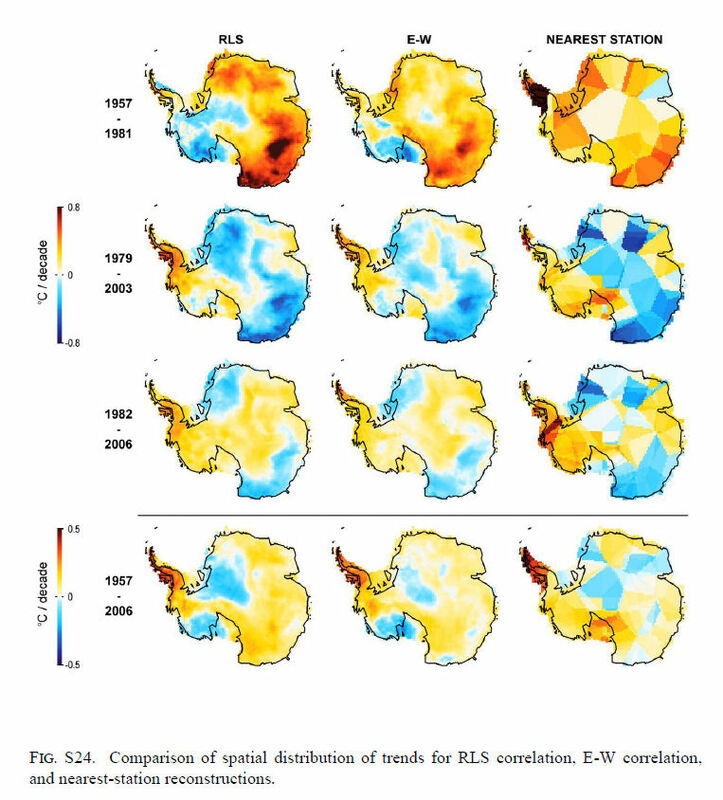 Peninsular warming smeared through 2.5 pc’s across the Antarctic, does not constitute data which you can accurately use for anything. NOTHING.But there was plenty of warming in it for the cover of Nature. Anyway, Steve McIntyre has a post up which our group has reviewed lightly and I wholeheartedly agree with. I’m tired of the games at RC. I’m tired of them calling me, Steve or any of our group liars while hiding the truth and never apologizing for their own mistakes. Ever seen RC apologize? Know why? You don’t need to hear my rants though, Steve’s post is long enough. Check it out here. I wonder what the KNUCKLEHEADED REVIEWERS think of Steig’s skill set. There is a lot of silliness going on in the believer community about which reconstructions are correct. It should be rather obvious by now and Ryan has some more work on that soon, but this image was one of my favorite from the initial submission. Of course it’s about the only one I contributed to, but what this shows is that our choice of Kgnd (left two columns) created a fairly accurate representation of actual measured trends (right column – closest station infilling). Column 3 was done well after 1 and 2 had already been completed so there was no back-changing for a better match. It is a demonstration that the methods we were using worked as intended. With further complaints from Reviewer A who still today argues about Kgnd, iRidge was suggested for a fourth and fifth column comparison which doesn’t use Kgnd but a weighted function rather than simple truncation of high order PC’s. It was done again with very similar results. Now IMO you can argue Kgnd all day, but when the result is invariant to the methods, the result is probably right and an open mind has little choice but to accept it for what it is. Subsequent to my post on Feb 7, 2010 here, Steig informed me by email that he had not seen our Response to his Third Review, as I had previously assumed. I apologize for my misunderstanding on this point, which was, however, incidental to the major concerns expressed in my post. A more detailed response on matters raised in Steig’s most recent RC post and other issues will be forthcoming. My misunderstanding over whether Steig received the Response to the Third Review does not alter the fact that Steig acting as Reviewer A, in his Second Review, had asked the editor to “insist” that we present the “most likely” West Antarctica trends, specifically proposing iridge, although, in an email yesterday, Steig expressed “total surprise” that we had complied with his iridge proposal and, in his Feb 1 RC post, even criticized us for complying his proposal. We will have more to say on this near the future, as his explanations remain insufficient. Nor do I agree that the criticisms in his RC posts of the methodology have any merit. In his Third Review, Steig had raised similar points against iridge, notwithstanding his Second Review proposal of the approach and his Third Review comment that “use of the ‘iridge’ procedure makes sense to me, and I suspect it really does give the best results”. We responded fully to these concerns in our Response to his Third Review, although we were unaware until Feb 8, 2011 that Steig had not received a copy of our Response. In any event, Steig knew or ought to have known that our response must have satisfied the editor of Journal of Climate and should have familiarized himself with our response before condemning the method that he had previously encouraged. Had Steig informed me that he had not seen a copy of our Response to his Third Review, I would have been delighted to send it to him. Instead, he chose to publicly disparage our paper using arguments that were both irrelevant and satisfactorily addressed – which was, unfortunately, no different than the tactic he used during review. 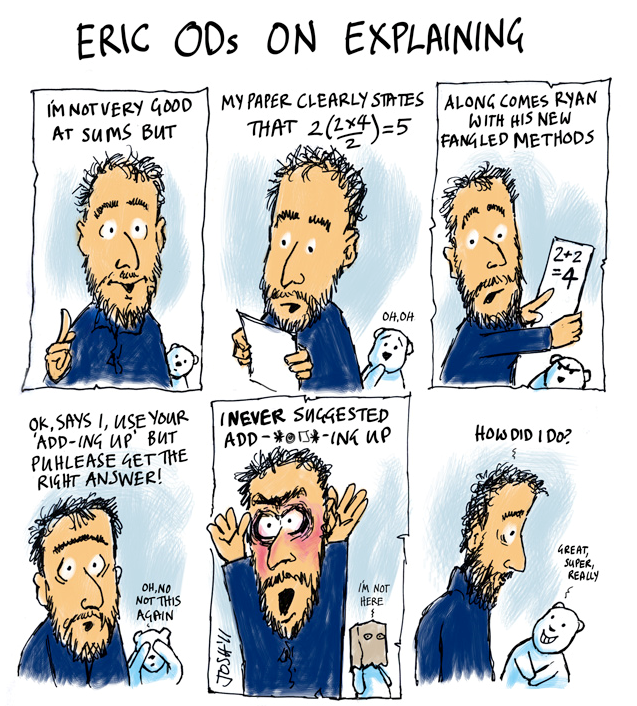 Steig’s recent outbursts are merely his most recent effort to obfuscate the underlying point of our critique: that whatever was original in Steig et al 2009 was based on faulty mathematics; and that whatever was correct in Steig et al 2009 was already known. No I’m not back blogging, still way too busy but I am going to let you guys know that although I am a coauthor of the critiqued paper at a recent RC post here, my comments are unworthy of the great and all seeing climatologists there. I’ve had a nice conversation with Dr. Steig off-line and though he is the author of the critique and the primary author of the S09 paper, he is not the thin-skinned person responsible for snipping my polite yet apparently to poignant critique. I do disagree with several of he points in the RC post but that will have to wait for another day. Ryan is preparing a reply which I intend to at least post here – he says it will take some time though.